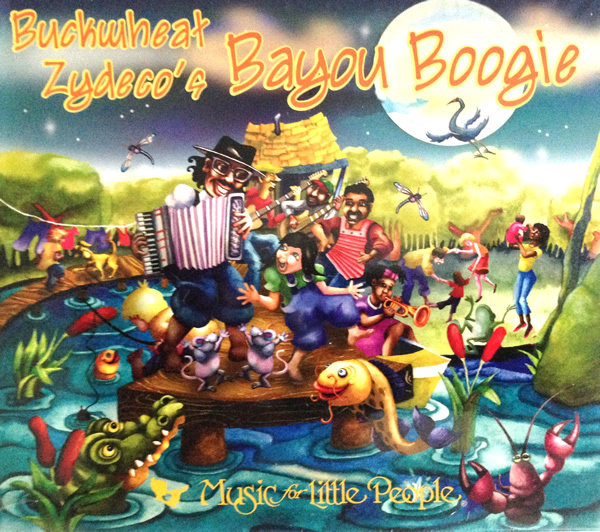 The Grammy-winning worldwide ambassador of Zydeco music is back again with a family dance party collection from the Bayou country of southwest Louisiana that pulls out all the stops. Smokin' accordion, rockin' Hammond B3 organ, rollicking rubboard and tasty guitar licks join together to create a musical gumbo of Creole culture that can almost be smelled and tasted. Buck, his young friends, and some very familar guest stars including Laurie Berkner, Dan Zanes, Aaron Nigel Smith and Maria Muldaur, guide children and parents thought a mix of songs including some of the most family friendly classic rock 'n' roll tunes - done in a Zydeco style as only Buckwheat can, plus great original songs that enterain and get kids moving while they teach. The result is a rich tribute to this unique melting poot of American culture.